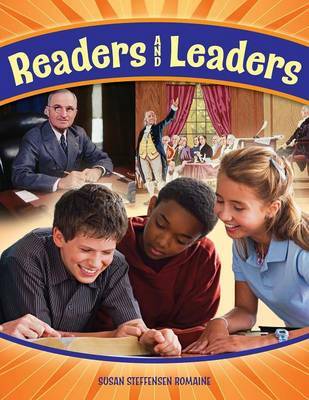 Readers and Leaders is a collection of ten reproducible short biographies, extension activities, and further reading and Web resource listings that explores the role that books and reading played in the lives of ten historical figures: Andrew Carnegie, Melvil Dewey, Emily Dickinson, Frederick Douglass, Thomas Edison, Anne Frank, Benjamin Franklin, Helen Keller, Norman Rockwell, and Harry Truman. How old were they when they learned to read? Who taught them? What obstacles did they overcome in learning to read? What kinds of books did they most enjoy reading? To what extent did the books they read as children pave the way for their many accomplishments later in life? More to the point, what inspiring lessons about books and reading can we learn from these readers and leaders? Whatever the course followed, all of those profiled in Readers and Leaders have inspiring stories to tell as their childhood experiences with books were both powerful and lasting-in essence their seeds to later greatness. Indeed, some of the leaders credit just one book or just one author with turning their life around and setting them on a path to fame or fortune. At a time when many young teenagers are well-versed in the lives of sports heroes who often pursued their childhood dreams with a ball in hand, Readers and Leaders gives teens an opportunity to learn about other kinds of heroes who explored bigger and better worlds with a book in hand.